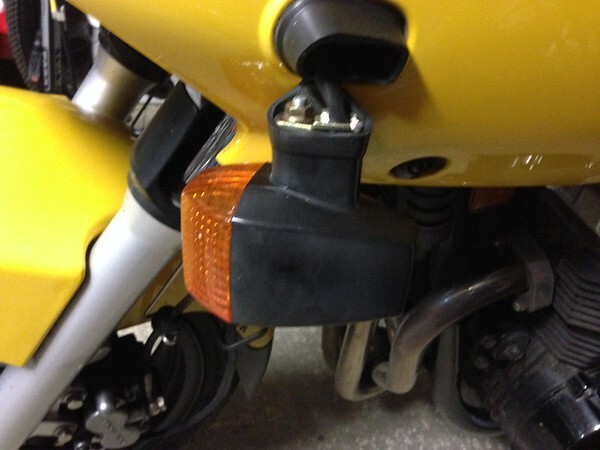 A few weeks ago I get home from a long ride and find my left front turn signal dangling, the rubber mount having broken in half. Hmmm, that's weird; wonder what caused that? Impact with something? Someone bumping into it? Old age? No matter, I ordered a new left-hand mount right away, and being the smart guy I am, also ordered the right-hand mount, figuring that some day that one may fail as well and, if so, I'd already have the part on hand. 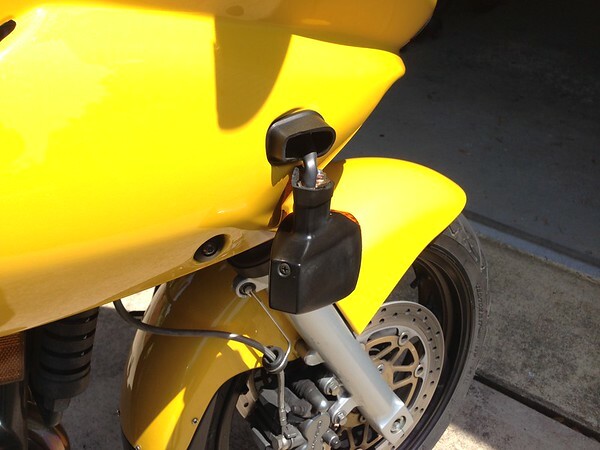 What I'd figured would be a 10-minute installation of the new turn signal mount turned out to be a sweaty, cuss-filled hour or more (thanks Kawasaki! ), which would've taken someone with normal man-sized hands much longer (thanks genetics!). While I had the dashboard and windscreen off, I of course considered replacing the "good" mount on the other side, and, of course, decided against it because of the major hassle involved with the wiring I'd encountered on the "bad" side, and anyway, what were the chances the other mount would somehow fail or get broken anytime soon? I fear the 95F and 100% humidity in my garage influenced that decision. 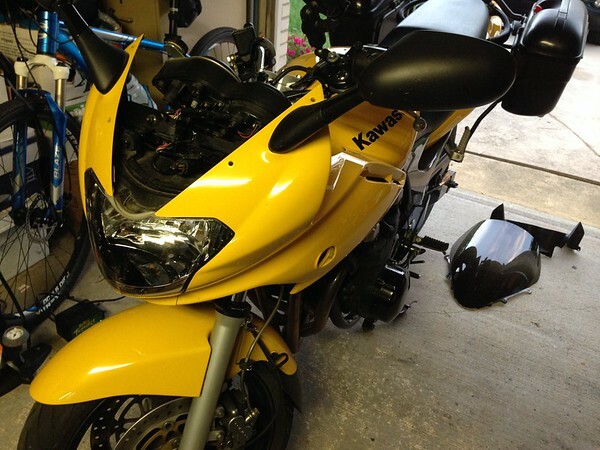 The good news is that now I know to an accuracy of about 200 miles the precise life of a Kawasaki ZR-7S rubber turn signal mount, and I've become twice as proficient at replacing them. Yay for me. Freakin' yay. Ha... that's a good story. When I replace lightbulbs that go in pairs or sets I always do them as a group for this exact reason.